Just finished Gayatri Spivak’s, An Aesthetic Education in the Era of Globalization (Cambridge: Harvard University Press, 2012). Of the essays in this compilation, I found particular inspiration in “Sign and Trace,” written on the artwork of Anish Kapoor. For those of us working in visual studies, the end of this essay is especially thought-provoking. Spivak confirms that images are “islands of meaning” in a different way than language is. Images exist in an ocean of traces, sure, but they are traces, too, and in a less definitive way than words can be. Like all of the sand suspended in each watery wave, images make us aware that the distinction between our island of sense and the global around us isn’t as drastic or clear cut as we might think. 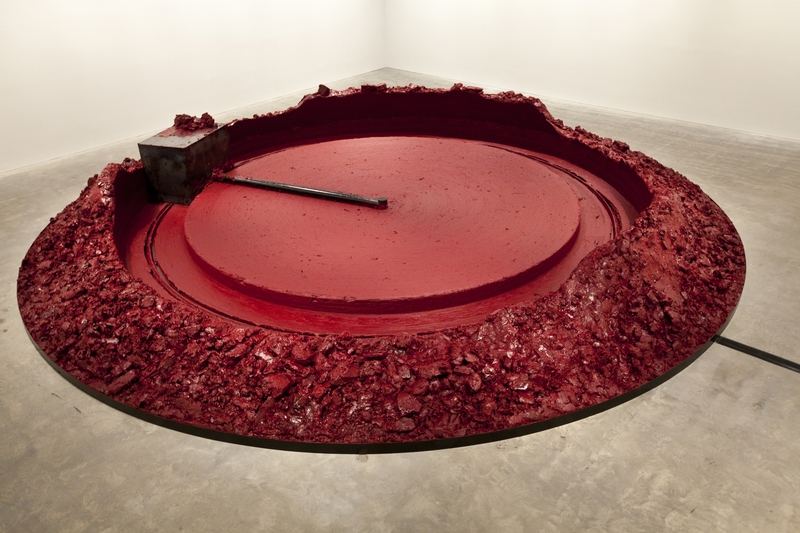 This entry was posted in reading and tagged An Aesthetic Education in the Era of Globalization, Anish Kapoor, art's butterfly effect, Gayatri Chakravorty Spivak, globalization, islands and traces, the global, the local by Jennifer Stob. Bookmark the permalink.